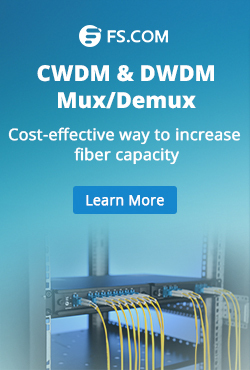 DWDM EDFA is key component in DWDM network. It uses an optical supervisory channel power adjustment and extends the power link budget for long distance DWDM communication systems. There are three main types of optical amplifiers: fiber amplifiers (EDFAS), semiconductor optical amplifiers(SOAs), and Raman amplifiers. Fiber amplifiers use rare earth elements usually erbium, but also oraseodymium, tellurite, neodymium, and others as dopant that are pumped with a laser of either 980 to 1480nm. The most commom used for WDM network are the EDFAs. 1 Erbium-doped fiber amplifiers-EDFA. 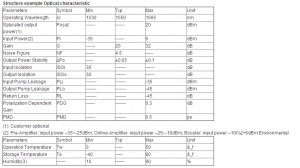 They are low nosie figure approximately 5dB and wide amplitication bandwidth. The EDFA is pumped at 980nm 0r 1480 nm. 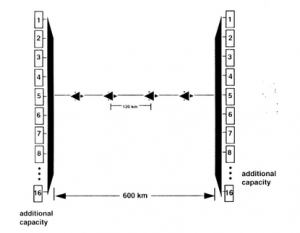 band across the erbium passband, allowing the 1530 nm to 1542 region to be used for DWDM. SNR remains the same, or nearly the same for each channel. Howerver, fluoride EDFAs have higher noise from being pumped at 1480nm. DWDM channels must have flat gain through means of an amplifier to properly function. They have proved durable with wavelength stability better than 0.02nm per year. In DWDM systems amplifiers are an enabling component. For 32 channel DWDM systems optical amplifiers will need to provide at least 25nm of usable bandwidth. 80Gbt/s with 10 Gbt/s channels need 8 wavelengths; 2.5 Gbt/s channels need 32 wavelengths. These must have high outout power and low noise and high signal to noise ratio(SNR). Network spans now at 360km are expected to extend to 600 km then to 2000 km with use of EDFAs. With optical amplifiers the optical signal does not have to be converted and is amplified optically in passing through the amplifier. Optcial fiber amplifiers generate stronger signals than regenerators and transmission can be for extended distances. This takes the place of the SONET regenerator. 1 Post amplifier are placed immediately after transmitter to increase optical power to the receiver. 2 In-line amplifiers boost the power level after transmission through a length of fiber permitting the signal to pass through another fiber segment. They are used to compensate for signal attenuation in long segments of fiber. 3 Pre-amplifiers boost the power of a signal just prior to the receiver. 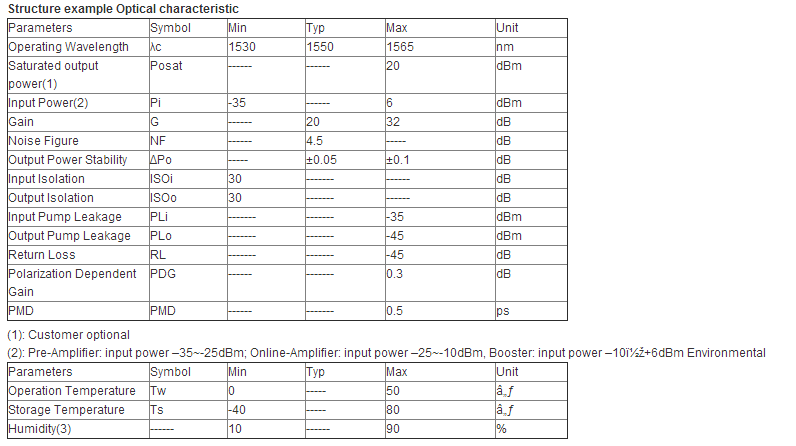 FiberStore can provide DWDM EDFA amplifiers in different channel from 40~80 channels. 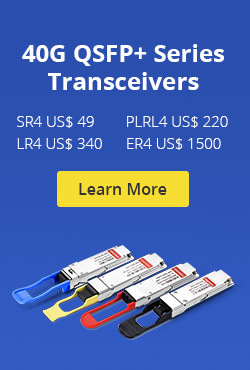 These amplifiers offer high optical gain, low noise figure and high saturation optical power which are fully integrated with various kinds of DWDM system. This product is spectrum flat EDFA for DWDM system. The stability Pump laser and unique ATC (automatic temperature control) and APC (automatic power control) circuit are employed in it as the key component to ensure the high stability and reliability of output power.The unique optical circuit design ensures the excellent optical character. The high stability and high precision MPU system are employed to ensure the control adjustment and display are intelligent and easy. Professional design GFF (gain flattening filter) with excellent optical path design make flatness and noise reach the best optimization. It can provide 40~80 channels, and above 35nm flatness. (3)Broad input power range and output power adjustable make it use easily. The design of dual Power Mixed and hot swap make it has longer MTBF. Also, the power system can be backup.Employ the intelligent temperature control system,the fan is on when the module temperature over 45℃, meanwhile it will stop as the temperature is under 40℃, which makes sure the thermal stability and fan’s long life-time, meanwhile, the professional air flow design can also ensure the best temperature stability.Intelligent network management system. Perfectly network interface: Ethernet, RS-485 and RS-232 network interface,and the open mib ensure the connectivity with all other network management system. This entry was posted in EDFA Amplifier, Wiki and tagged DWDM EDFA, Optical Amplifier on February 17, 2014 by Admin.